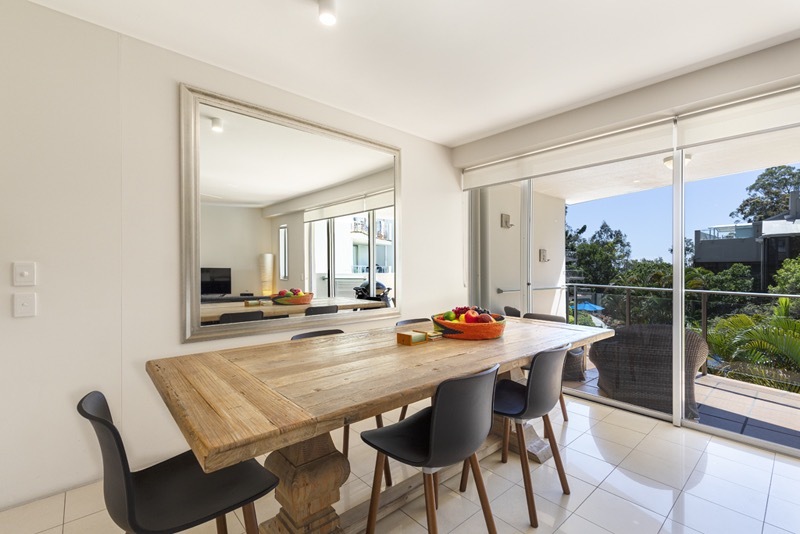 We researched quite a few places to stay in Noosa for our young family of two kids under three for our two week stay. We opted with The Cove as the Little Cove area was recommended to us by friends as most suitable for young ones. We were therefore very happy to find that the resort is perfect for families. The beach is 5 paces to the white sands of Little Cove, the stunning national park is 10 mins walk to the right, Hastings St 5 mins to the left. Perfect! In addition to the ideal location the apartment (13) was well appointed and we couldn’t fault it for the affordable nightly price. It was clean, well designed and light/airy. The bedrooms look over the lush subtropical forest = bliss. The pool was warm, clean and perfectly adequate. The car park underneath easy to access. The staff were friendly and accomodating. High fives from us. Never lets me down! Just returned from our third holiday staying at the cove, always such a pleasure! So close to the beach for our morning dip..! Our room was well appointed and had a nice view over the pool and gardens. The staff were friendly as per usual. And we have booked for next year. We were return visitors to The Cove and had another wonderful stay last week. The location is second to none. 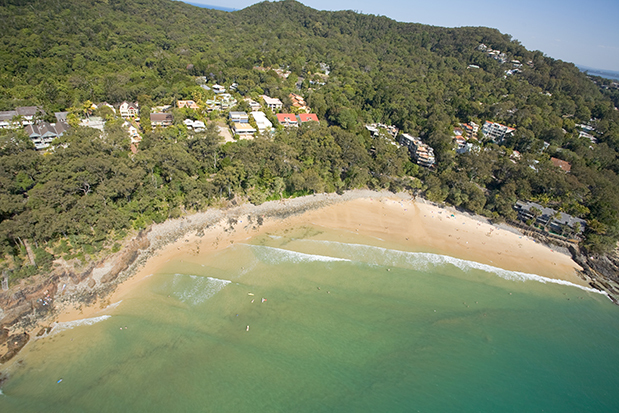 Little Cove Beach is just across the road, Main Beach and Hastings Street is a 5-minute walk in one direction and Noosa National Park is a similar walk in the other direction. 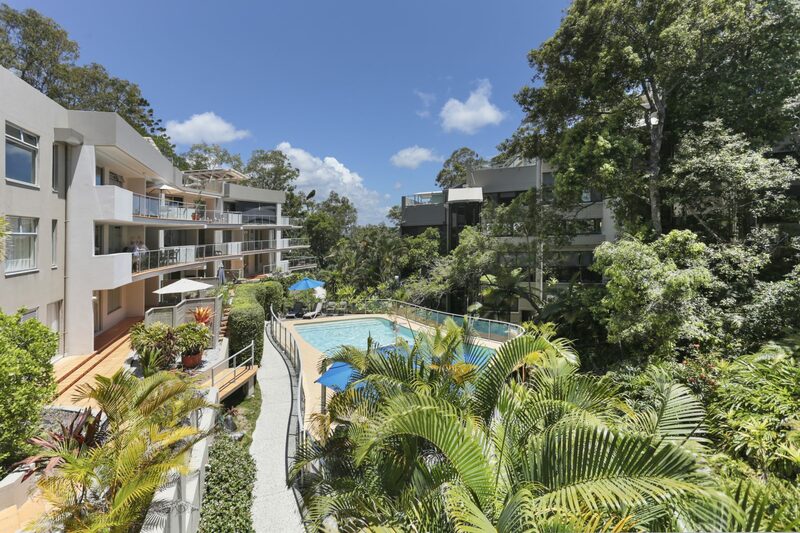 We booked a 2-bedroom garden/pool view unit which was modern, clean and well appointed. The unit was lovely - nestled amongst the trees but with the sound of the waves. The staff were friendly and professional as always. We went with friends this time but The Cove is also great for families. We will definitely be back! Great location and good value! Lovely apartment, great location, very pleasant and helpful staff - thank you, we will be back. Just got back yesterday from having a wonderful stay at The Cove. Very sad to leave. We were checked in early which was fantastic. #13 is a lovely apartment, clean, modern and great aspect. Can't wait to visit again. You’ll enjoy the peace and tranquility of this stunning, 2-bedroom 2-bathroom, Little Cove accommodation. 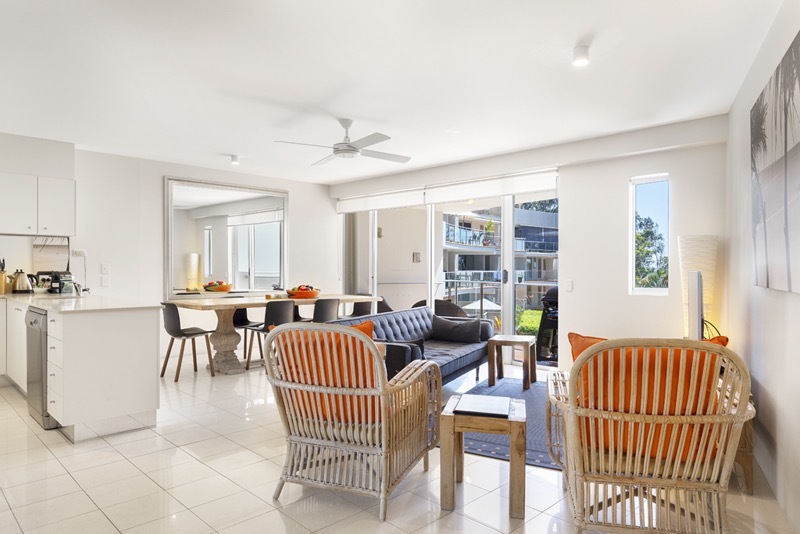 With a perfect northerly aspect, Apartment 13, The Cove Noosa, has filtered ocean views across Laguna Bay and views across the resort pool and landscaped gardens. This apartment has a comfortable homelike feel and is on the second floor (accessed with minimal stairs) and is therefore ideal for families with young children or the not so young. 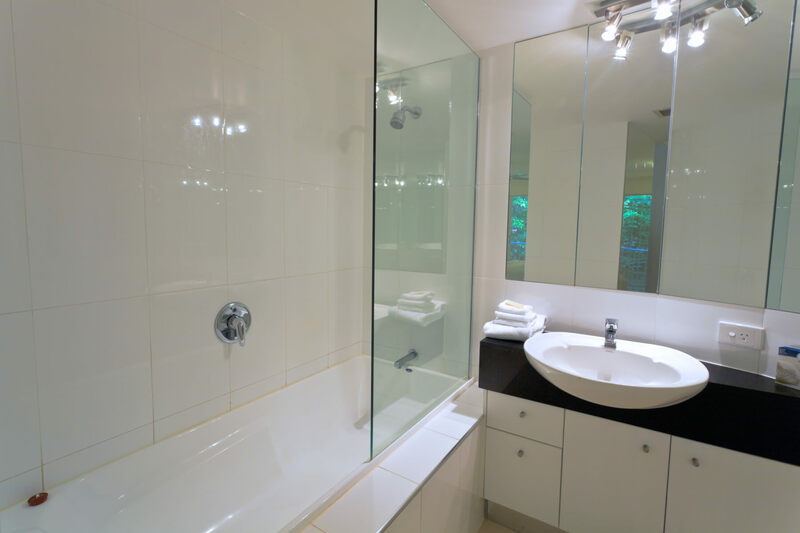 The apartment has recently been fully renovated with a new kitchen, new bathroom and all modern furnishings throughout. 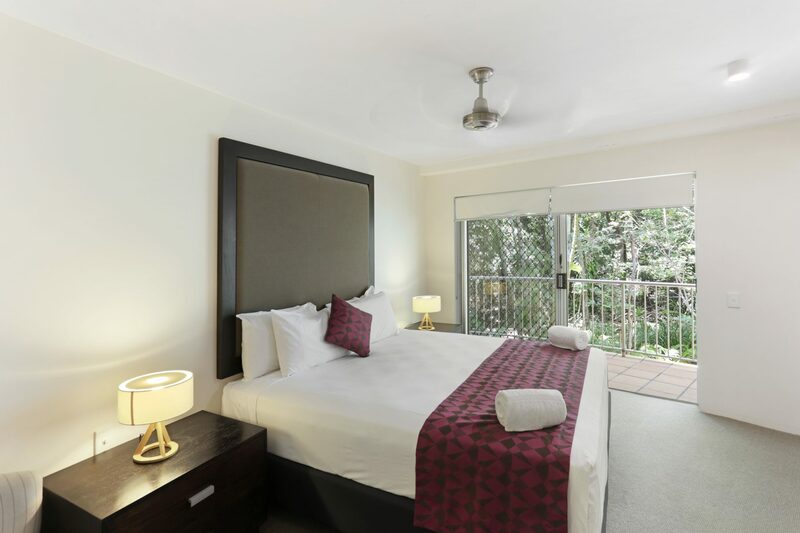 It has a large king bed in the main bedroom with an ensuite and private balcony with lovely rainforest views. 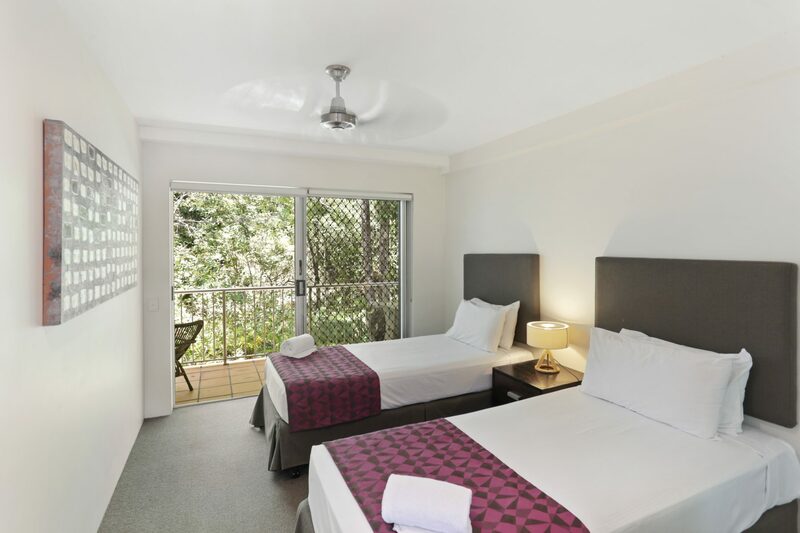 The second bedroom with twin beds also has a private balcony with rainforest views. The northerly aspect is ideal for catching midday and mid-afternoon sun on the balcony which is complete with outdoor dining and BBQ facilities. This is simply the perfect location to relax, listen to the waves and enjoy a morning coffee or cool beverage in the afternoon. 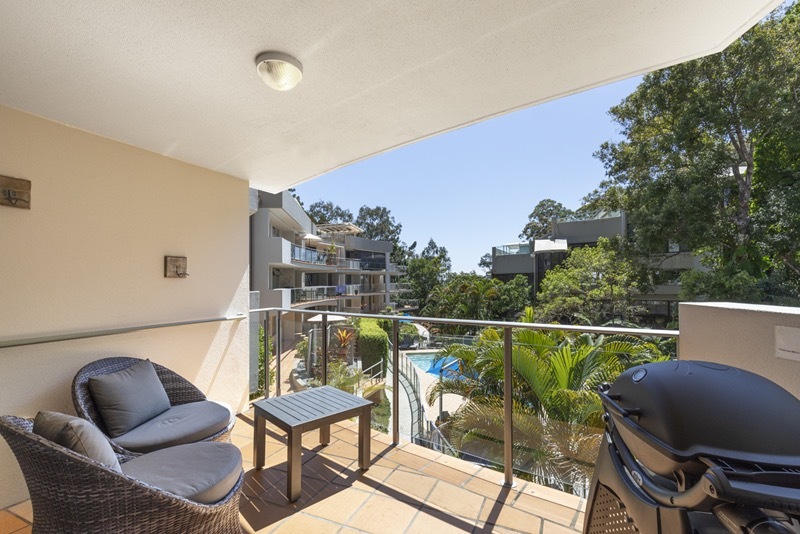 The Cove Noosa’s location offers the best of both world’s, being only a short walk along the Coastal Boardwalk to Hastings Street and to the Noosa National Park. 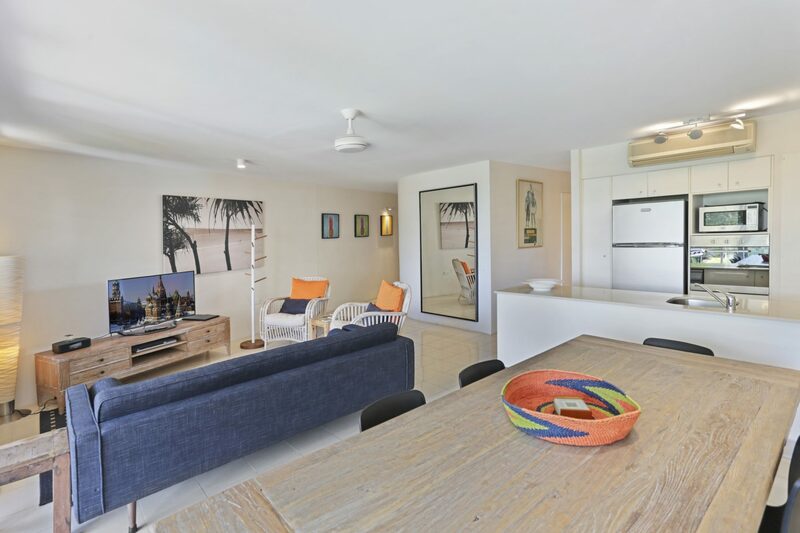 Idyllically nestled in the rainforest and literally seconds to the surf and sand at beautiful Little Cove Beach, Apartment 13 is the perfect choice for your next Little Cove holiday at Noosa.